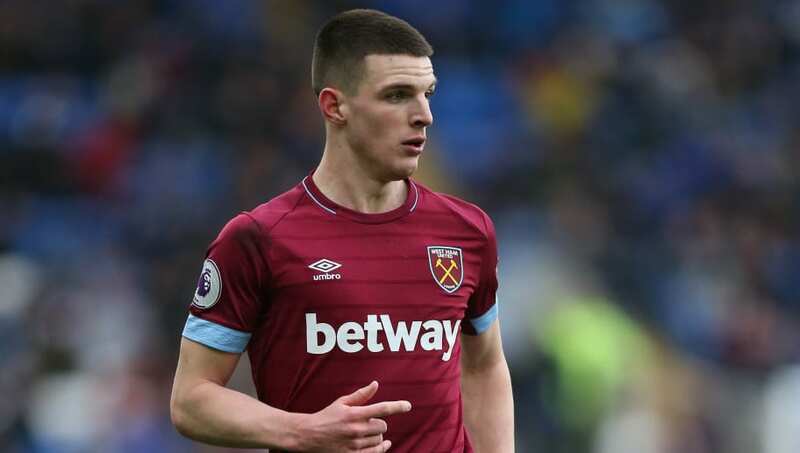 ​England manager Gareth Southgate has named his 25-man squad for this month's Euro 2020 qualifiers against Czech Republic and Montenegro, calling up West Ham talent Declan Rice for the first time after he switched international allegiance from the Republic of Ireland. Although born in London, Rice had represented Ireland at four different junior international levels, as well as playing three non-competitive games for the senior side. But he finally pledged his international future to England last month instead. Rice made his first team debut for West Ham in April 2017 and has played over 60 games for the club since, including 31 in all competitions so far this season in defensive midfield. Burnley pair Tom Heaton and James Tarkowski have returned to the fold, while Harry Maguire, Danny Rose and Kieran Trippier are all back after being injured for the November internationals. Bournemouth's Callum Wilson has kept his place, but Jesse Lingard misses out through injury. There were no call-ups for Crystal Palace full-back Aaron Wan-Bissaka or Southampton midfielder James Ward-Prowse, despite rumours there could be. England will host Czech Republic at Wembley on Friday 22nd March to kick off their Euro 2020 qualifying campaign, before travelling to face Montenegro in Podgorica three days later. England's next set of international fixtures will then be at the inaugural UEFA Nations League Finals in June, when they will face the Netherlands and then either Switzerland or Portugal for the right to lift the trophy - what would be a first for Three Lions since 1966.